Aside from the Squadron Blue edition, the Air Jordan 1 Retro ’97 was released in another eye-catching colorway. 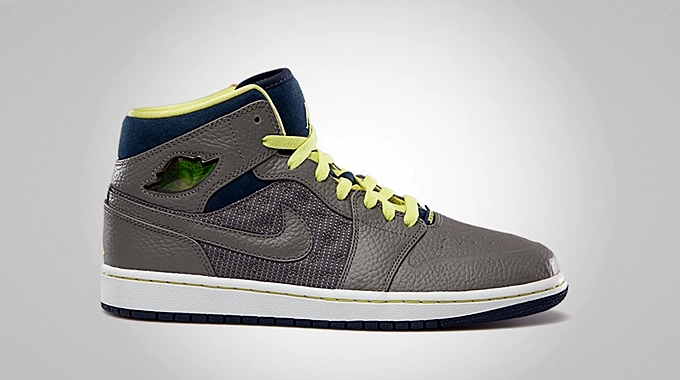 This Air Jordan 1 variant is also now available in “Flint Pewter” edition or what is officially labeled as the Flint Pewter/Electric Yellow colorway of the kick. Flint Pewter dominates the upper part of the kick and enhanced with Electric Yellow laces and lining. Both the Squadron Blue and the Flint Pewter edition are definitely must-buys this month. Get your own pair now for just $120 per pair.